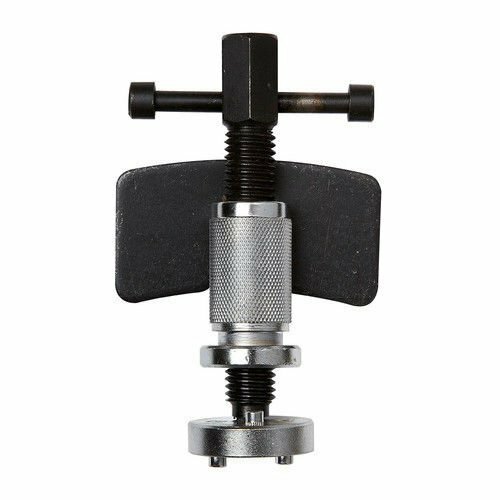 This brake caliper piston re-wind tool set is suitable for use on disc brake calipers fitted to most European and Japanese Cars with right handed thread. ADAPTORS NO 1 Most popular Japanese and European vehicles. ADAPTORS NO 2 Ford, Mazda, Mitsubishi, Toyota. hex end for sockets and spanner distance between pin centres. ADAPTORS NO 1 Most popular Japanese and European vehicles. ADAPTORS NO 2 Ford, Mazda, Mitsubishi, Toyota.